Neighbors in West Tampa are pushing for a number of road safety upgrades, citing a number of traffic and infrastructure concerns. 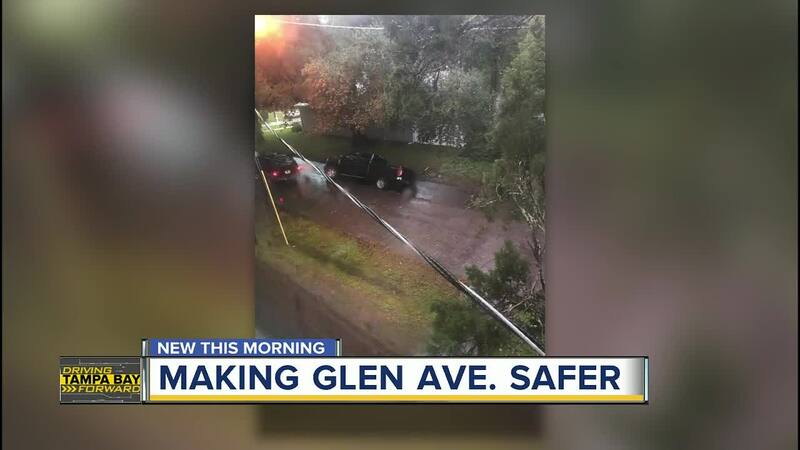 TAMPA, Fla. — Neighbors in West Tampa are pushing for a number of road safety upgrades, citing a number of traffic and infrastructure concerns. Some are specifically concerned about Glen Avenue, where they say the road is narrow with deep ditches on each side. There's also a lack of sidewalks. Another major concern is that the upgrades on Himes Avenue have made it more challenging to turn left, West Tampa residents say drivers are using neighborhood residential streets as cut-throughs and are often speeding. ABC Action News was there, cameras rolling, as a t-bone crash happened at Glen Avenue and Palmetto Street. Maria Castillo, who lives in the area, said parts of Glen Ave. are incredibly narrow, making it challenging for two vehicles to pass one another at the same time. In early December, she says narrow streets led to this crash, when a truck tried to let another vehicle pass by pulling over, and went into a ditch. Castillo said there are also several parts of Glen Ave. that are broken. She has been pushing for road safety upgrades for awhile, calling attention to the problems along West Tampa streets to city leaders. However, she says she hasn't seen much done. She said she has gathered a neighborhood petition with several dozen signatures to submit to the City of Tampa, petitioning for more sidewalks. Castillo said she has also had a city representative walk Glen Ave. to see some of the safety concerns. These include residents being forced to walk on streets without sidewalks, just steps away from traffic. ABC Action News went to the City of Tampa's Transportation and Stormwater Services Department to ask what plans may be in the works to fix West Tampa. Jean Duncan, director of City of Tampa's Transportation and Stormwater Services Department, said while there are no specific updates regarding Glen Ave., there are plans for a new sidewalk on Tampania Ave. from Columbus Dr. to Tampa Bay Blvd. There are also plans for some resurfacing work planned for this area, Duncan said..
"We are aware of the sidewalk, resurfacing, and stormwater needs of West Tampa, and we look forward to addressing these needs," Duncan said. ABC Action News has learned much of the new sidewalks on residential streets would be paid for with money generated from the newly-passed All For Transportation Tax. But this comes as District 4 Hillsborough County Commissioner Stacy White has filed a lawsuit challenging the local transportation surtax certified by voters in November. Due to the pending litigation, city leaders are not at liberty to discuss anything related to the “All For Transportation” sales tax, Duncan said. However, if the suit is resolved in favor of keeping the sales tax, the City of Tampa and Hillsborough County can move ahead with a robust public engagement program. This would assist us with our capital project planning and prioritization, and ensure that neighborhood concerns are clearly presented, Duncan said. In the meantime, city and county leaders are working toward this plan to upgrade the streets of West Tampa, creating safer, more connected roads.